A disabled MP has introduced new legislation that would ban all NHS hospitals from “rip-off” parking charges imposed on patients, staff and visitors. The Conservative MP Robert Halfon, a former minister and now chair of the Commons education select committee, said the imposition of car parking charges by hospitals was “the bane of people’s lives”. And he said that his private member’s bill would “end the hospital car parking rip-off once and for all”. Halfon’s hospital car parking charges (abolition) bill received its first reading in the Commons on Tuesday, and will receive its second reading in March. He told fellow MPs that people with long-term, serious health conditions who needed “repeated and lengthy stays in hospital” were “disproportionately” hit by the charges. He has been campaigning for free hospital parking for more than three years, and started the campaign after discovering that hospitals in England were charging staff and visitors up to £500 a week to use their car parks. 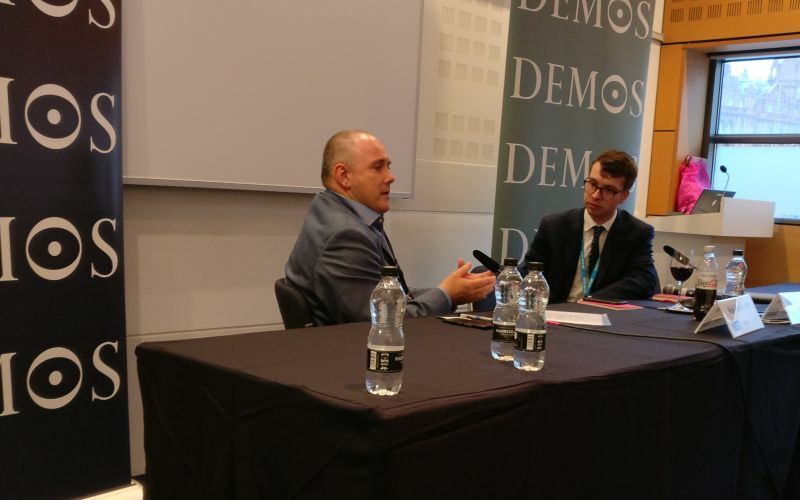 Halfon (pictured, left) told fellow MPs that, in contrast, Scottish hospitals do not charge for the use of their car parks. His campaign has already led to ministers introducing guidance – calling on hospitals to offer concessions for staff working unsociable shifts, holders of blue parking badges and visitors of seriously-ill relatives – but it is not mandatory and so can be ignored, he said. Despite the 2014 guidance, the average cost to park for a week at a hospital in England is still £53.41, and it costs an average £1.98 to park for one hour, while one hospital in Surrey charges £4 an hour. Halfon said that almost half of hospitals offer no concessions for disabled drivers. He said: “Blue badge holders have no choice but to park nearby, and almost half of hospitals charge them to do so. But fellow Tory MP James Duddridge told Halfon that he opposed the bill. He said the estimated annual £200 million cost would be better spent “on hospital care rather than hospital parking”. Halfon’s bill has received support from Labour MPs Frank Field, Julie Cooper and Emma Hardy, as well as from fellow Tories including Sir Mike Penning, a former minister for disabled people, and Lucy Allan.